Ser.Tec. and Dugopa, new dealer of Eagle digital printing solutions for Spain, will be present at C! Print in Madrid from September 25th to 27th at booth number F235. 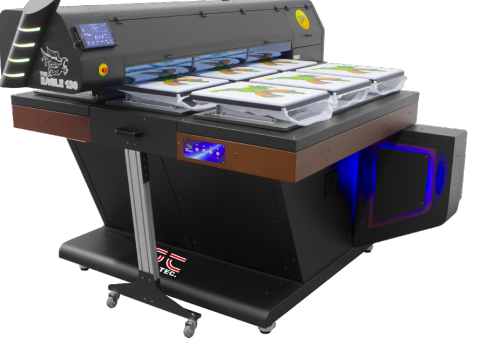 At the booth will be present the new industrial direct to garment printer Eagle TX 130 in the configuration of 9 tables measuring 420x380mm. The printer at its first international release is ready to surprise visitors with its speed and print quality. The new version of EVNetwork's WhiteRIP RIP software also contributes to a further reduction in processing times, with the new feature of rip & print which cancels waiting times for graphic processing. We look forward to seeing you from September 25th to 27th at the F235 booth at C! Print Madrid!